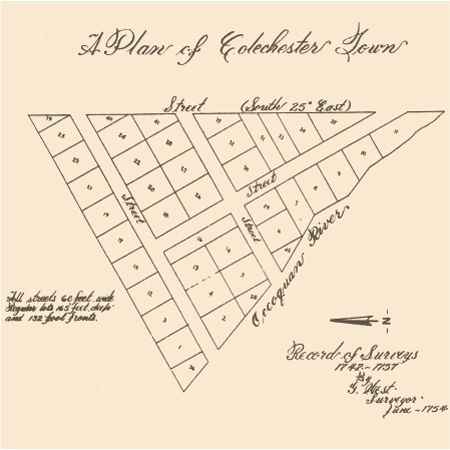 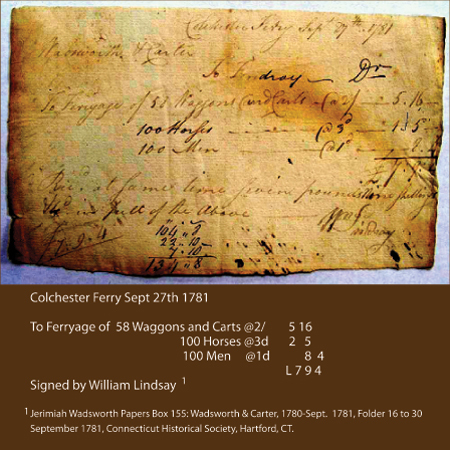 Colchester is the colonial port town on Mason's neck that witnessed the passage and encampments of the allied French and American armies on their way to and from Yorktown, Virginia in 1781 and in 1782. 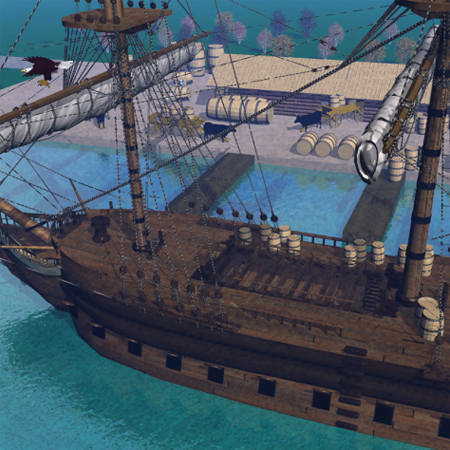 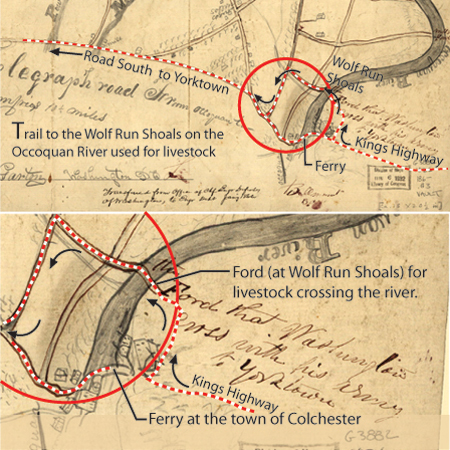 The town provided a route to an Occoquan River ford for the livestock crossing and a ferry for soldiers crossing the Occoquan River. 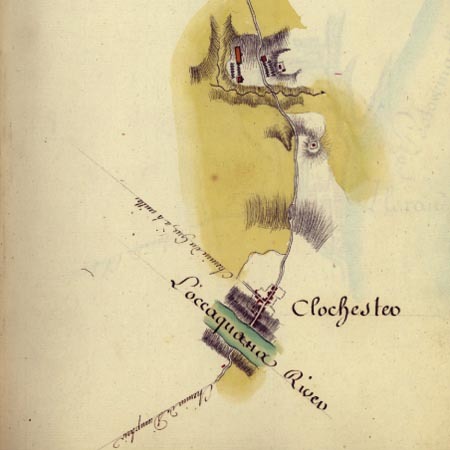 This map below, drawn by Rochambeau's cartographer, Louis Alexander Berthier, depicts the campsite at Colchester to be used by the allied overland baggage train and armies during their passage to and from the battle at Yorktown. 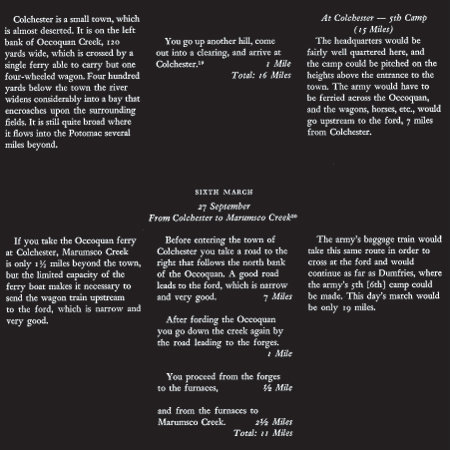 The campsite was located a mile north of Colchester next to Giles Run. 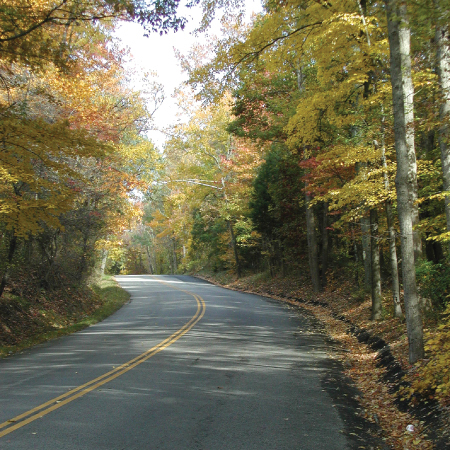 In the times of the Washington Rochambeau army passage followed the Post Road or Kings Highway, today Old Colchester Road, but then equivalent to Interstate-95. 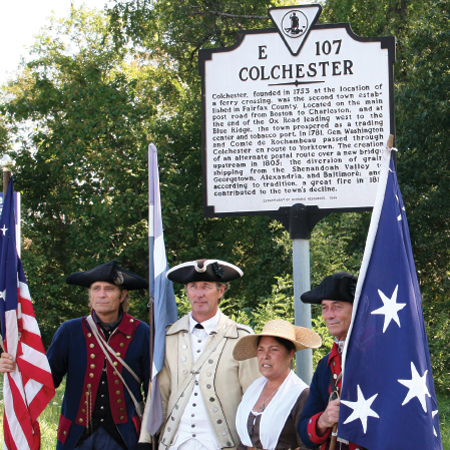 These reenactors passed through Colchester on the anniversary date of September 27, 2006.